Presidential advisor William Averell Harriman was born in New York City oon November 15, 1891 and was heir to his father's Union Pacific Railroad fortune. 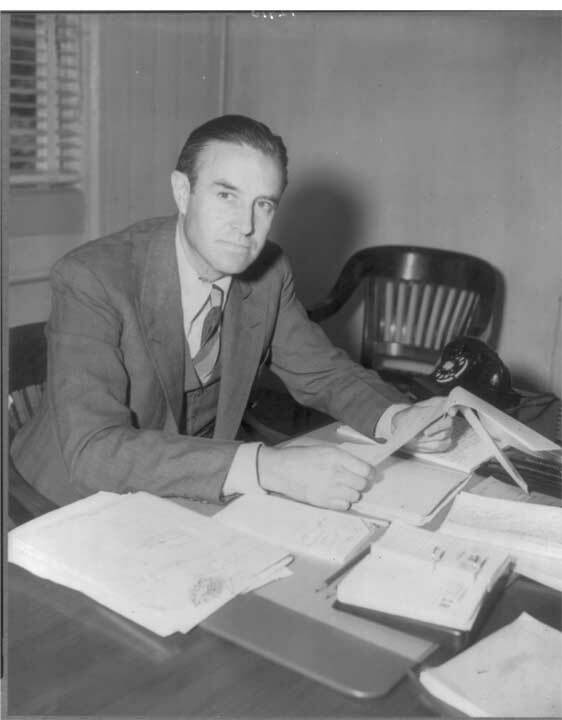 By 1932, he was chairman of the board of Union Pacific, as well as being involved in banking, shipbuilding and international finance ventures. He and Armand Hammer were among the first Americans to seek business concessions from the government of the USSR. In 1941, President Franklin D. Roosevelt sent Harriman to Moscow, first as a minister and, later, as an ambassador. Harriman served briefly as US Ambassador to the United Kingdom in 1946, and was appointed Secretary of Commerce under President Truman. He worked on the Marshall Plan in 1949 and 1950, then served as President Truman's national security adviser during the Korean War. Elected governor of New York in 1954, he lost a re-election bid in 1958 to Nelson Rockefellor. After two unsuccessful tries for the Democratic presidential nomination, in 1952 and 1956, he served in various posts in the Kennedy Administration's State Department. In 1963, Harriman was an important figure in negotiating the Nuclear Test Ban Treaty between the US and the USSR. President Johnson appointed him ambassador-at-large for Southeast Asian affairs in 1965. In this capacity, Harriman travelled around the world to solicit support for US policies in Vietnam and to investigate the possibilities of a negotiated peace. In 1968, he served as chief US negotiator when preliminary peace talks opened in Paris between the US and North Vietnam. Henry Cabot Lodge took over negotiations after Nixon was elected President. Harriman criticized the manner in which Nixon handled both the war and the peace talks.